Erin and Connie have sponsored Andrew, one of our children in full time custody, since the very beginning of Arise Africa. Over our New Year's Mission Trip, they both had the opportunity to meet him in person for the very first time! Written below is the story in their own words. When Alissa came to us in 2010 all she had were printed pictures of seven kids in need. We took one look at Andrew and fell in love. Sick and malnourished, his little belly sticking out - his picture told us that he was a fighter. Together, with the rest of “Team Andrew,” our hearts were set on fighting with him from 4,000 miles away. We prayed, soaked in updates, wrote letters, and eagerly awaited responses as he grew and began beating the odds that were so stacked against him. Connie and I dreamed of one day traveling to Zambia. December 2017 was finally the time to go and see the young man we had grown to love so much. God had made it clear to both of us individually, and we were excited to embrace all that God had for us. Despite all the excitement I was feeling about returning to the land I love, there were still some fears. After years of good health, I began to experience severe migraines and Connie battled chronic pain made us both question what the trip would be like. So we spent a lot of time in prayer and also asked others to pray for us. Although we were scared, we trusted in the truth that God is good regardless of our circumstances. In the end, He empowered us both to be faithful and blessed us with a trip we will never forget! Once we arrived, we were encouraged by what we saw. 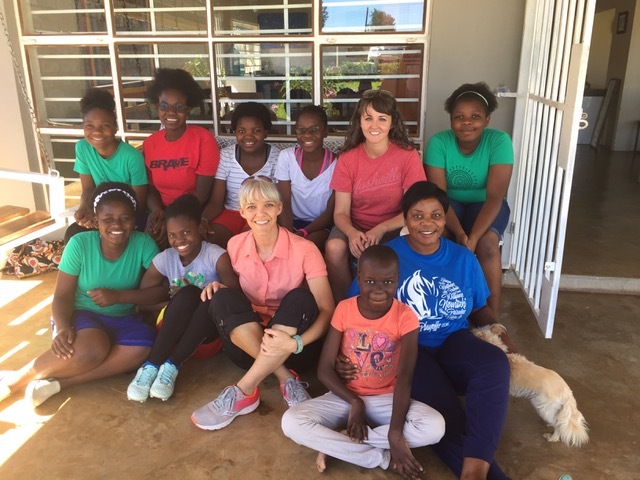 We visited the slums around the city, the orphanage in Lusaka and the Arise school. Our eyes were opened to the reality that we have only read about or seen on commercials. Arise has definitely entered in to the lives of the children growing up in Lusaka. 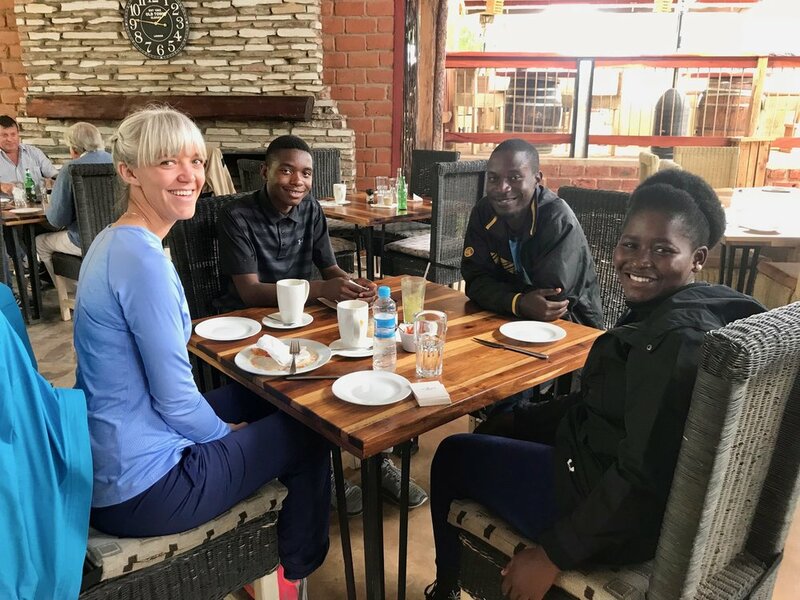 They are thriving in a country that doesn’t value children, and they are surrounded by other Zambians that love them and are committed to serving them as well. Andrew lived with a family on a farm a few miles away from the Arise complex. Andrew was originally in the Child Sponsorship program before moving into the Arise Homes. After a few years, Arise realized that their home wasn't the best fit for Andrew, but Old MacDonald's Farm would be. Old MacDonald's is an organization that is dedicated to helping out boys in Zambia who are often known as "street kids." The Farm is next door to Taonga School, a school that Arise works with closely. It was such a blessing to see Andrew surrounded by young men his age, involved in the church, all under a roof with the McDonalds, who offer strict rules and healthy support from their Zambian staff. He also has an Arise Staff person named Noah that checks on him regularly. Noah and a few of the other Arise staffers know Andrew very well and were able to color in some details for us when we had questions. 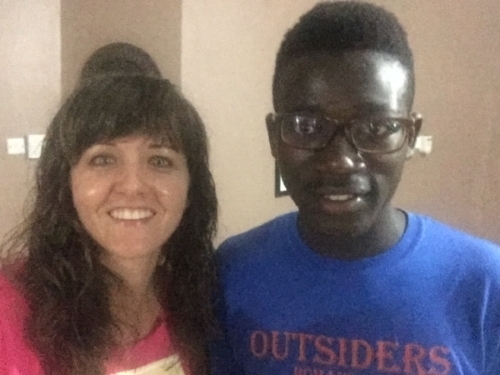 In addition to Andrew, I also sponsor to other Arise Home children, Enny and Armon, and it was amazing getting to spend a whole week with them. All of these kids have overcome so much. It was encouraging to connect all of the dots from the updates and get to talk with them face to face. Without God’s work through Arise, things would be very different for them. We did so many things while we were there, but it was hard connecting with Andrew. We knew he was quiet and distant and that even Arise staff struggled and they were with him on a regular basis. That didn't stop anyone from continuing to pour into him, but we had been warned he is very difficult to "crack." Close to the end of our trip, we drove to Old MacDonald’s Farm, knowing that this would be our last time to see Andrew. He had been so quiet, and up to this point I had been hoping that he would open up and give me a “green light” to share more deeply. But I realized that if I wanted to connect with him, I would have to be vulnerable first. I resolved to say what I needed to say, regardless of his response. After all, how often do you travel to another continent to meet someone?! So we shared how much we had prayed for him over the years when he was so sick, how thankful we were about his growth at MacDonald’s, our desire for him to know and love God more than anything else, and how proud we are to share with others in America why we would love someone so far away, whom we had never met. We also showed him a book that I made for Erin several years ago, containing every picture, email, and blog post about his journey, so that we could remember and feel that he was close with us. This exchange reminds me so much of our relationship with God. We need God so badly, but aren’t able to reciprocate the love he has shown us. Jesus, God in flesh, had to be the one to bridge the gap. He traveled the distance to meet us where we are, to show us his love so that we might reciprocate even a fraction of the love he constantly showers on us. So if you can – GO TO AFRICA. But if you can’t, keep praying and giving, because it is making a difference!